I’ve been to this creepy state park several times since moving to Long Island. Why creepy? 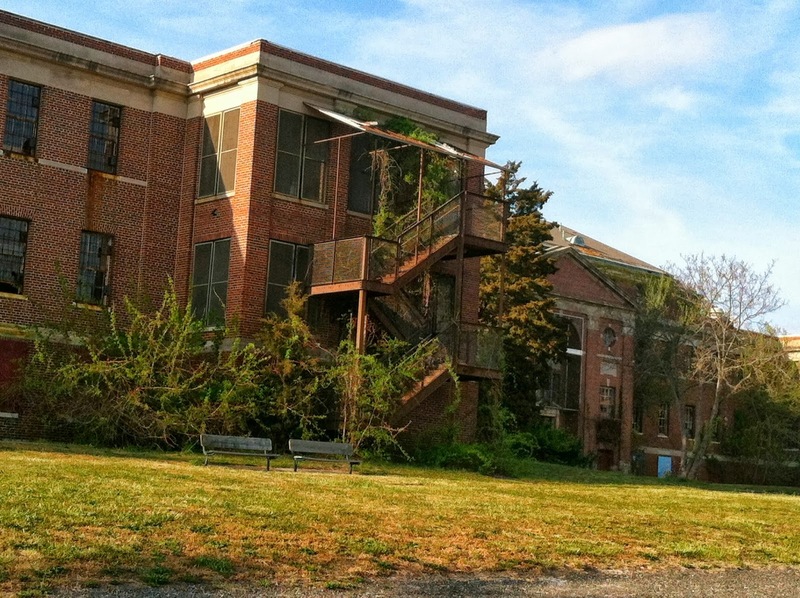 Mostly the abandoned buildings from the previous tenant on this property; The Kings Park Psychiatric Center. 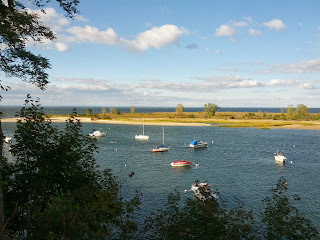 So, crumbling scary buildings, and a great view of the Nissequogue River Inlet? Is there a better place for a Sunday afternoon QRP outing? I think not! While I was here last time, I spotted a great spot for a QRP setup. At the top of the long hill, and past the courtyards is a nice grassy area that terminates at a fence at the top of a 40 foot cliff over the water. 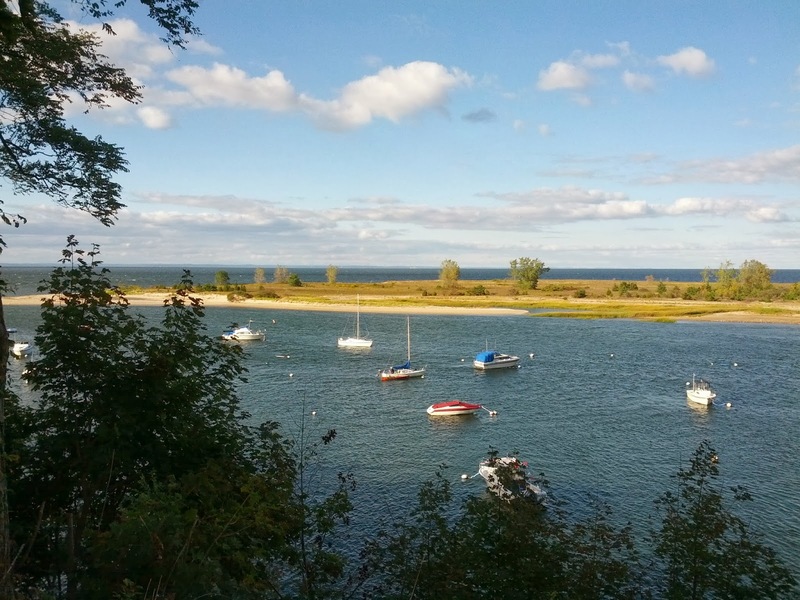 There are a number of trees for antenna hoisting, two picnic tables, and a great unobstructed view into the inlet and the Long Island Sound beyond. 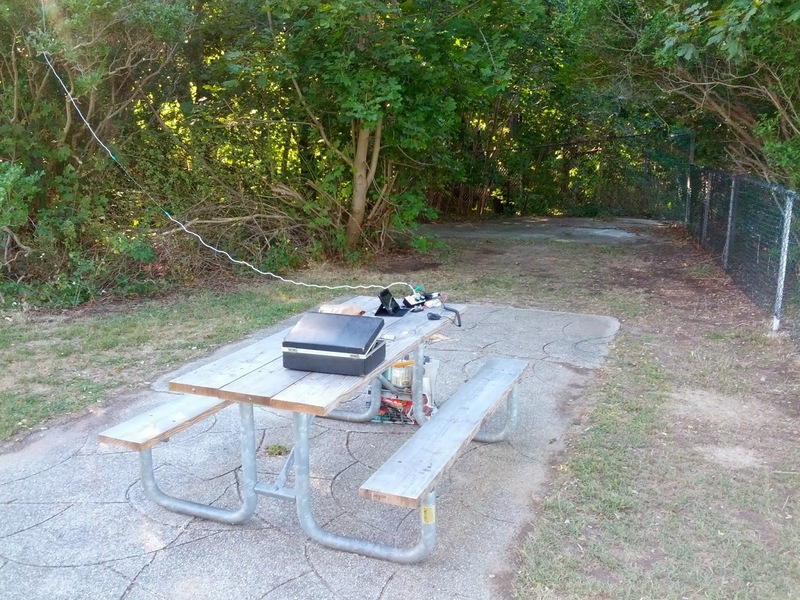 I set up on one of the tables, and raised a vertical antenna high into the nearest tree using my twine and water bottle/counterweight, and later I put up a nice high end-fed. I’m using a Xiegu X1M radio, with an Emtech XM-2 tuner. Along with the main components are a small amplified speaker, mic, key, different counterpoise and/or ground methods, a 7″ Android tablet, and a portable jumpstart battery for power. It was a perfect day. I made 6 phone contacts with 5 Watts on 10, 15, and 17 Meters. UK, Scotland, Mexico, Italy, The Azores, and Austria. Not bad. The weather was great, and I only got a few funny looks from walkers, bikers, and dog walkers as they heard me speaking into the mic. The ghosts of patients past left me alone too. One nice surprise was that there was an Optimum Wifi hotspot somewhere nearby, with enough signal to get me online without using my phone as a hotspot. Great for QRZ lookups. I have an Empire Park Pass, so admission was free, although I’m still amazed that they charge people to walk around this strange place. Jeff over at Herculodge has a posted info about the availability of the long-awaited Redsun RP3100. For those of you who do not know what this is, it is basically an updated version of the Kaito KA2100 / C Crane CC Radio SW / Grundig S450DLX. Updated with built-in SSB (no more clunky adapter) and what looks like many more features. This radio has been spotted so many times over the last 5 years that we were starting to regard it as a SW Hobbyist's BigFoot. frequency, electronic time, radio received signal strength in different states. FM accuracy up to 10kHz, amplitude accuracy of 1kHz. copy, delete, etc. editing functions. ■ with a wireless remote control, easy to use. ■ normal temperature (0 ℃ -50 ℃) display. enter the station and other means. you can also connect to local FM Cable Radio Network (CABLE FM). ■ with FM stereo, AM SSB reception. amplitude digital broadcasting), SSTV (Slow Scan TV) and so on. to 40dB (100 times), medium wave better than 60dB (1000 times). snooze function, programmable sleep timer function. ■ key tone function selection key lock function. ■ Setting the left / right channel line / input / output jacks. lights out two kinds of illumination for night operation. mode power supply, rechargeable battery rechargeable function. I have been slowly getting into QRP these days (low-power for you beginners). Being an outdoorsy kind of guy, it mixes well with my outings. What has really surprised me lately though, is how well you can do with some inexpensive equipment, and a simple antenna. ttle radio. I’m not here to necessarily recommend this model to everyone, but the tinkerers among us, looking for a TINY rig with these capabilities will enjoy the Xiegu. There are other choices, which I’ll cover later, but first the rest of my setup. For a tuner, I did a lot of reading and research. I wanted something light, small, inexpensive, and with lots of positive reviews. The Emtech ZM2 fit the bill perfectly. This little tuner seems to be able to quickly tune up anything from my wire-in-the-trees setup, to a 4-drawer file cabinet. It handles up to about 15 Watts, and is available with either SO-239 or BNC connectors, and in kit form ($65), or assembled ($90). Either model also has binding posts for balanced input. Available from http://emtech.steadynet.com/zm2.shtml. For power, I’m currently running the radio off of the car. I have a nice coiled extension, and I just plug in to the rear 12V jack in our Kia Soul. I am planning on getting something more portable. The radio seems to be sensitive to low-voltage and has issues with anything under about 11.5 volts, so I’ll probably go with a 24V dual-battery setup with a regulator. For now, I’m happy just tailgating. My antenna is a stiff piece of solid wire, about 7 feet long, which is attached to about 50 feet of stranded 16 gauge wire. 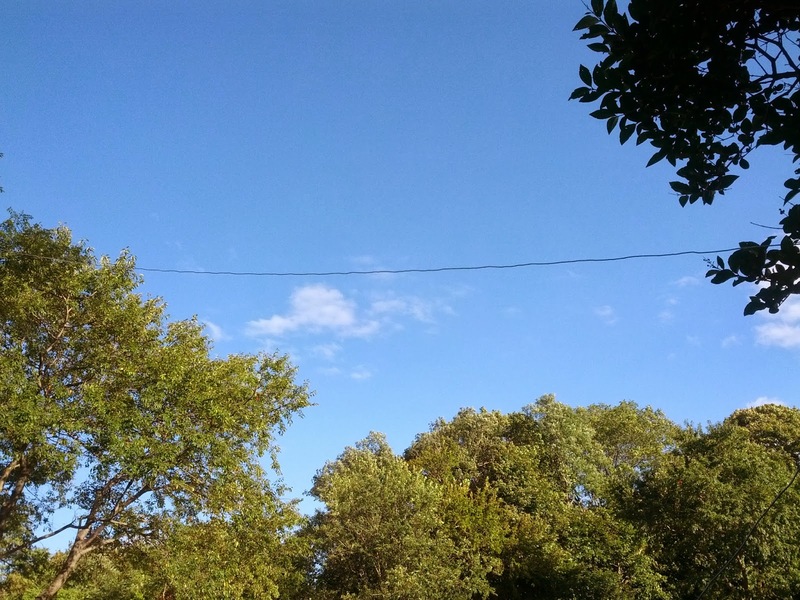 I raise the antenna vertically in a tree using the water-bottle-and-cord method. I tie the cord to the water bottle, which is about ⅔ full, and heave it at the top of a sturdy tree, allowing it to fall down the other side, and draw the cord up into the tree. I then pull the cord back until the water bottle is at its highest point, attach the wire, and let gravity raise the wire into the tree. When finished you just untie the cord from the bottle and pull it all back out from the antenna end. I usually have a 10-20 foot counterpoise heading in an opposite direction from the ZM-2 tuner. This setup allowed me to tune up on 10, 15, 20 Meters, as well as 17, and 12, but as I mentioned earlier, the Xiegu needs some extra filtering there. I have a small straight key, just for tuning up, a small amplified speaker (the volume is a bit weak on the Xiegu for outdoor use), stock microphone, and I usually keep the laptop nearby feeding off the WiFi hotspot on my phone for QRZ lookups, and logging. Most of this fits into a foam lined case that I picked up at a yard sale recently for $1. How does it perform? This was the way I setup the rig this past Saturday up in back parking lot in West Hills Park, off of Highhold Drive, which is near the highest point on Long Island (Jaynes Hill). The Parking lot sits at about 360 feet above sea level (as determined by an app on my phone, so I wouldn’t use that number for surveying). I worked stations in Denmark, Germany and the UK on 15M, and another Denmark station on 20M. Not bad for 5 Watts. What options are there in QRP Sideband rigs? Well, for you big spenders, there are the current popular models. The Yaesu FT-817nd, the Elecraft KX3, and the TenTec Argonaut IV. The Yaesu can be had for $650 after rebate right now, which is a pretty good deal. The Elecraft and the TenTec are both around $1000, depending on accessories. The Elecraft is a personal favorite of mine. I hope to own one at some point. The Xiegu, as I mentioned is currently around $350. There are a couple of new options coming in the next month or two that are similar in size and performance to the Xiegu. The YouKits TJ-2B MK II is due the end of this month. The MK II is an updated version combining the best bands of the two separate MK I models. The MK II will cover 60, 40, 20, 17, and 15 Meters with 5 Watts, and costs $329 assembled on a special pre-order deal, with a free battery. I’m thinking that I might have waited for one of these if I had known. They usually offer a kit version with all SMD parts finished for $50-$75 less. LNR Precision, the company that currently owns the excellent Par EndFedZ antenna line, is about to release it’s QRP sideband rig, the LNR-FX4. 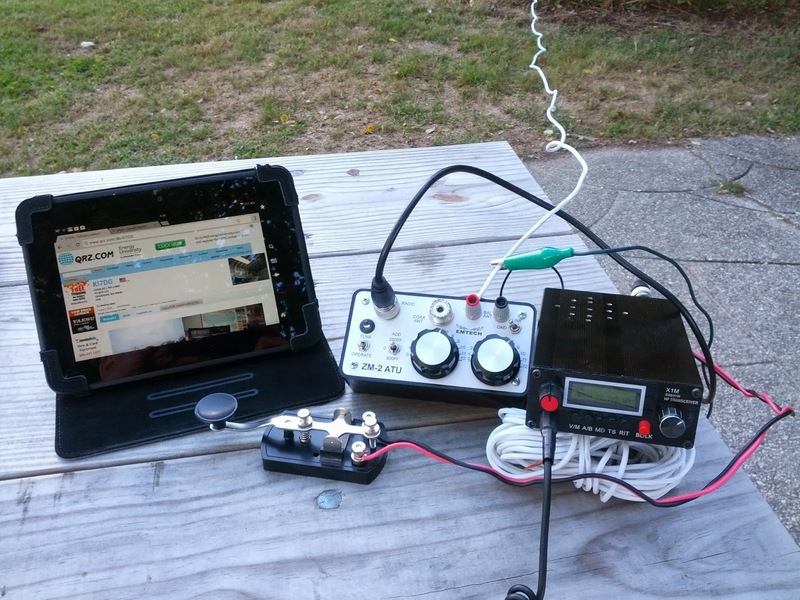 This rig will transmit on 40, 30, 20, and 17 Meters with 5 Watts. It looks TINY in the photos. LNR says that it will sell for less than $500. For those of you that like to say “I built this rig, and have the burn scars to prove it!”, there are a few other options as well. Hendricks QRP kits offers the BitX20A, BitX17A, and Survivor 75 Rigs. Hendricks radios are always highly regarded and sell for between $100 and $200 depending on options. CR Kits from China, sells the KN-Q7a for $120 plus shipping ($45 more assembled). 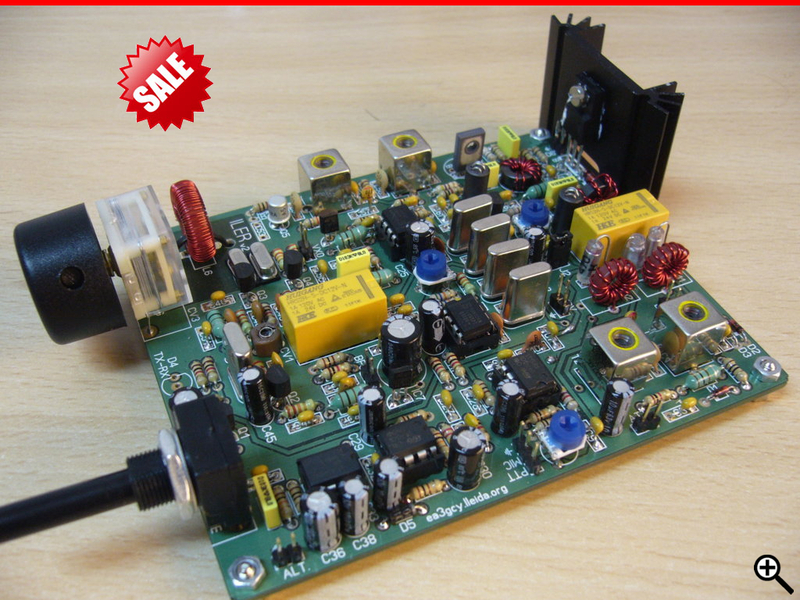 5 Watts output, available in several 40 and 20 meter ranges. Walford Electronics in the UK, sells several SSB and DSB (SSB compatible) kits in various level of difficulty. I like this guy's website, as he explains each rig in depth. Check it out! EA3GCYvfrom Spain sells the ILER line of SSB kits. These rigs have been reviewed well, and are inexpensive, and expandable. Available in a couple of frequency ranges in 40 and 20 meters, they sell for €77.50 (Euros). This might be my next project. Looks fairly simple, thru-hole construction. There's also the SDR kits from Tony Parks, although at 1 Watt output, they would be more of a challenge. Tony is selling them assembled too these days (when available) on his website FiveDash.com, as well as a nice little enclosure. There’s a guy who writes for AmateurRadio.com (Larry W2LJ) who closes his posts with the line: QRP - When you care to send the very least!